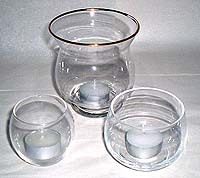 We stock a large range of glass tealite candle holders including those shown below. 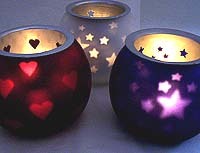 We also stock a range of tealight candles. 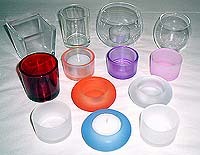 Available in white, light blue, light green, pink, light purple, red, blue, burgundy, orange and brown. 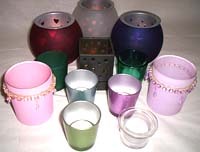 The two smaller sizes can be used to float tealight candles. The largest is a storm shade suited to outdoor use. red, blue, green & yellow. red, blue, purple & yellow.